Tis’ the season to spread holiday cheer. What better way then dressing up as everyone’s favorite elf. The Mens Deluxe Velveteen Santa Suit is the perfect Santa costume for you next holiday party. The soft fabric will keep you comfortable for a night of bouncing delighted children on your knee. 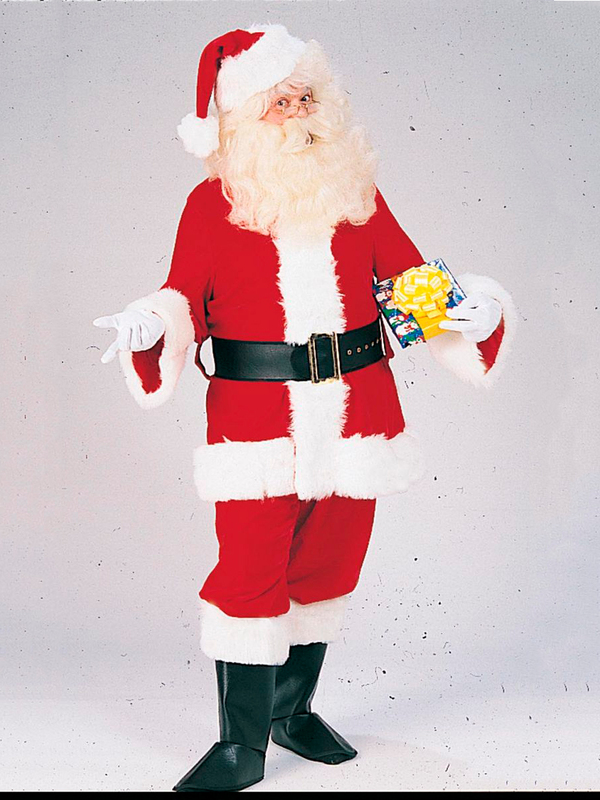 This Santa suit for men have everything you need to become St. Nick. Transform your Christmas party into the North Pole and order the Mens Deluxe Velveteen Santa Suit today!